The Federal Communications Commission on Tuesday gave AT&T permission to begin offering Wi-Fi Calling, reports The Verge. The Commission has granted the carrier a waiver, allowing it to offer the feature without the typically-required support for TTY, a service for those with disabilities. 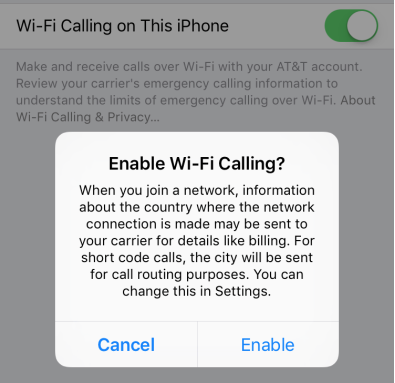 AT&T announced last week that it had intended to deploy Wi-Fi Calling on September 25, the day Apple launched its new iPhone 6s, but decided to delay its release until it received word from the FCC. Now that the Commission has given the green light, the feature should be available shortly. We’re grateful the FCC has granted AT&T’s waiver request so we can begin providing Wi-Fi calling. At the same time we are left scratching our heads as to why the FCC still seems intent on excusing the behavior of T-Mobile and Sprint, who have been offering these services without a waiver for quite some time. Instead of initiating enforcement action against them, or at least opening an investigation, the agency has effectively invited them to now apply for similar waivers and implied that their prior flaunting of FCC rules will be ignored. 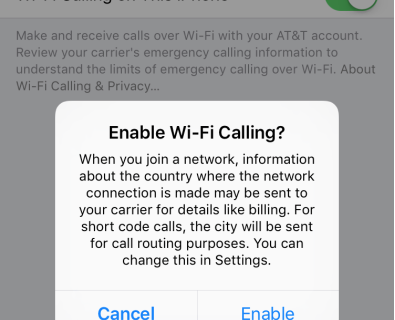 Introduced in iOS 8, Wi-Fi Calling allows users to place a phone call over a local Wi-Fi network instead of their wireless connection—which is particularly useful in areas with poor service. 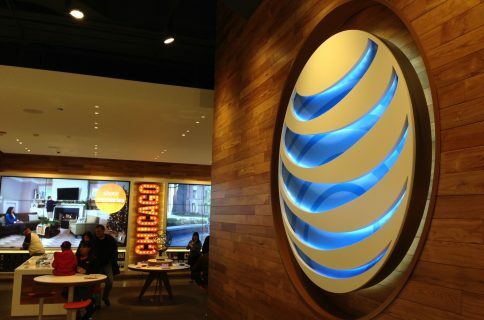 AT&T allowed several users to activate the feature and use it for most of the iOS 9 beta-testing period.